Contrary to popular opinion, Content Marketing, Social Media Marketing and SEO are neither synonymous nor created equal. Although they are often grouped together (and complement each other quite nicely), they all have different parts to play in the marketing puzzle. In case you are of the majority that is unaware of the difference between these three marketing components, we’re here to break it down for you. Social Media Marketing is so much more than posting GIFs on Facebook and keeping your eye on what’s trending on Twitter. Just like any other branding initiative, it needs to tell a story and spark conversation. While it is an extremely important piece to the puzzle, it is simply that: a piece (a corner piece, if you will). It’s an essential part of piecing everything together, but you can’t see the whole marketing picture with just your Twitter handle. Last May, e-commerce vendor, TOMS Shoes, launched an Instagram contest that would donate a pair of shoes on behalf of anyone who posted a picture of themselves barefoot using #withoutshoes. This campaign provided an opportunity for TOMS to “put their money where their mouth is”. TOMS demonstrated their commitment to the cause and proved the reach and power of a simple photo contest on Social Media. As a result of this contest, TOMS donated 269, 243 pairs of shoes. Not too shabby. Content Marketing is the larger and over-arching marketing strategy that utilizes helpful and interesting content that a target audience can relate to and use later. The primary goal of any Content Marketing initiative should be to increase brand awareness and perception, but there can be variations. Your Content Marketing strategy should toe the delicate line of delivering messages that are aimed at becoming partners to future clients … and shoving your advertising message down everyone’s throats. Do you remember Coke’s “Share a Coke” campaign? Of course you do! Probably because at some point in the past year you bought a Coke with your name on it. And that right there is why the “Share a Coke” campaign is one of the most successful content marketing campaigns from the past few years. Coke made their campaign all about “Ashley” or “Steve” or [insert your name here]. By personalizing their product with their customers’ names, Coke let everyone know they see consumers as more than just a statistic. 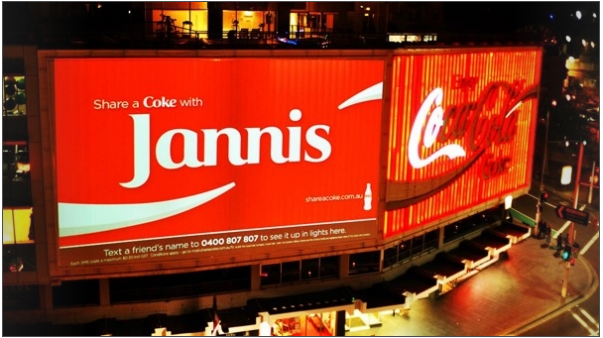 “Share a Coke” (the ‘content’ of this Content Marketing campaign) was seen across social media, TV, billboards and so much more. No matter where you went you knew there was a Coke out there with your name on it. To read more about the conception of the campaign, click here. Search engine optimization (SEO) is the art (and science) of leveraging your website’s content in a way that gets you a higher rank on search engines to drive more traffic to your website. With a combination of the amount of links your site has to other websites and how many related keywords are contained in your site’s copy, search engines decide how to rank your site in search results. Refining your SEO is easy! By improving keyword density for specific words, providing more content for specific keywords and generating back links to your site, your search rank can increase exponentially. Although we hear the term a lot more now, Content Marketing has been around long before Social Media and the Internet. Think about it: when companies had to send out direct mail to their clients to relay key information it was (and is) considered a form of Content Marketing. Companies were sharing interesting and helpful information that their clients could use later (whether it was as cool and dynamic as some of the Content Marketing we see today, I could not tell you). As social networks became more popular, people were consuming information at a faster rate than ever before. In turn, a content marketing strategy became essential to keep up with the amount of content being published on the web and to maintain an online presence. SEO is the technique for examining and generating consumers for content. By tracking SEO, companies can get a better idea of who is searching for their content and how it is getting seen. They can take data insights from monitoring SEO and apply it to their Content and Social Media Marketing strategies. When SEO results are applied, your content will be optimized to rank higher in search engine results. Are you putting the pieces together? Share your thoughts on Facebook?